We all have an "it." A little task, a simple order that will be as boring or interesting as you want it to be. 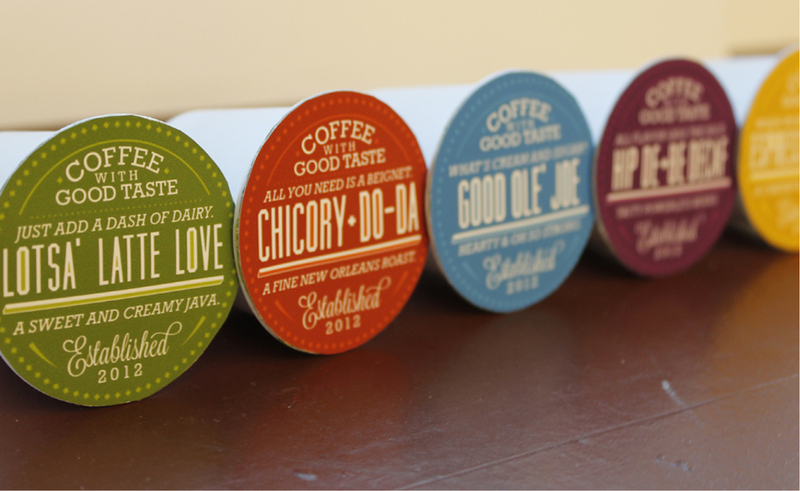 Coffee With Good Taste is a fictional K-Cups brand designed to be extras in a circular photoshoot. I was assigned the task of making them and since I had a little extra time, decided to have some fun with it by turning it into a copywriting/packaging/branding project. Coffee With Good Taste was born and enjoyed its short lifespan as an "extra" in a circular. The result was delightful. It was liberating to pour my energy that had been stifled by limits into something that had none. My boss was as astonished as I was with them, which made me take a long hard look at the work I was doing. The unofficial evaluation from her happy reaction made me realize I could do better with everything else I was working on. Who knew that such little packages would teach me such a valuable lesson? While it's not something that can be done all the time, I encourage you to look for those projects that might seem insignificant and give them just a little bit more than you normally do. It just might surprise everyone.